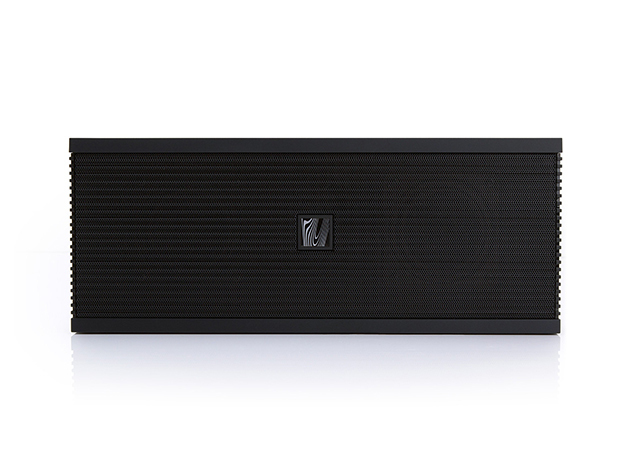 This particular item, the Sound Kick Bluetooth Speaker, was quite a hit when we first showed it to you. Well, the deal is ending soon, so if you want to save 50% off retail, now’s your chance. Sound Kick trumps the competition with its robust sound, compact size, and sleek design—all at a great price point. The go-to travel speaker for Bluetooth audio aficionados, the Sound Kick grants you 7 hours of non-stop full sound on each charge. Normally you’d have to pay $100 for it, but it’s just $50 for the next little while. The Smashbox Pro Portable Speaker is an interesting device. It’s partway case, partway speaker, and sort of a little bit of both. You put your phone in there, plug the 3.5mm jack in, and close the case. 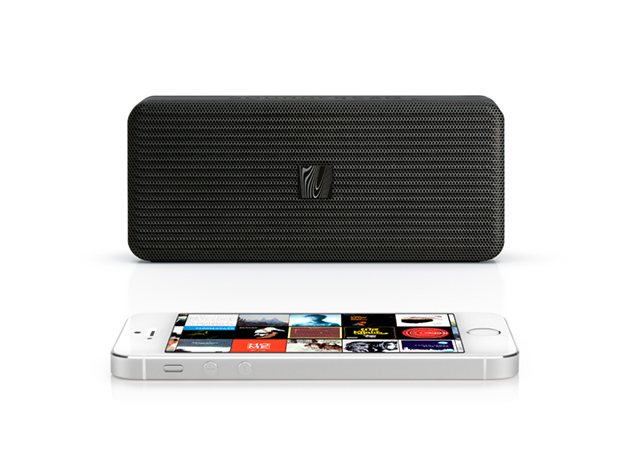 The external speakers will blast your music, while the whole thing protects your phone. 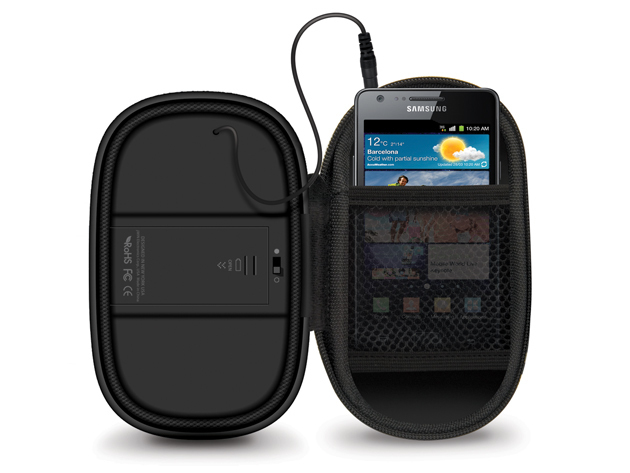 Keep the music flowing, the adventures rolling, and your phone pristine along the way with this portable speaker case. 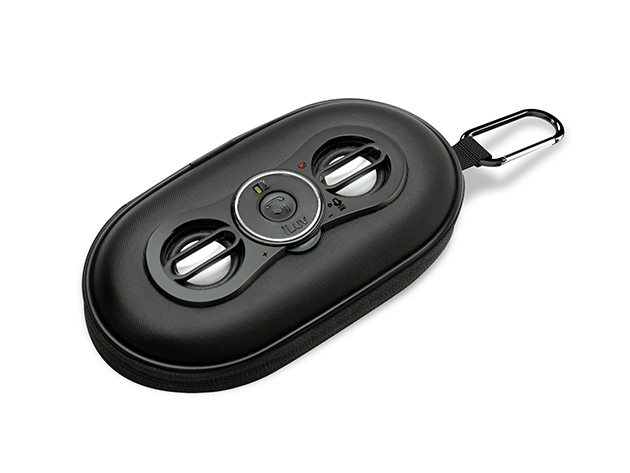 Safely slip your phone inside and use the handy external controls to take calls and play tunes. SmashBox conveniently clips to your belt, backpack, bike, etc., and will protect your device through rain or shine. The best part is the price. It’s pretty inexpensive to start with, at $15. But with today’s deal you only have to pay $12.99! By David Ponce on 04/30/15 • Leave a comment! 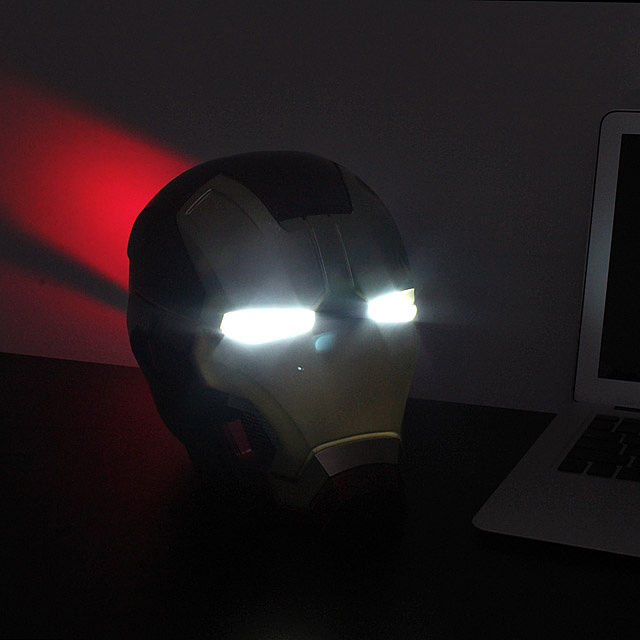 You’re looking at a Bluetooth speaker that’s shaped like Iron Man’s head. Or more like his mask. 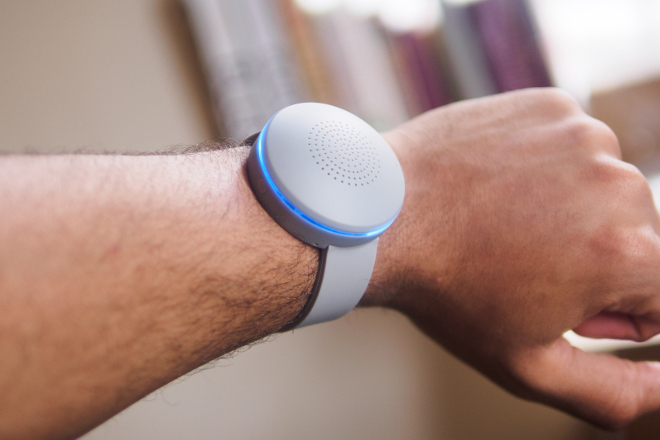 It streams music through Bluetooth, but also can connect to a USB flash drive or a 3.5mm audio jack. It has two 40mm 3W midrange drivers and an 82mm 15W woofer, which should be enough to get decent sound out of it. It won’t do anything to quell people’s strange looks as they notice you with a decapitated Iron Man, but that shouldn’t deter you. 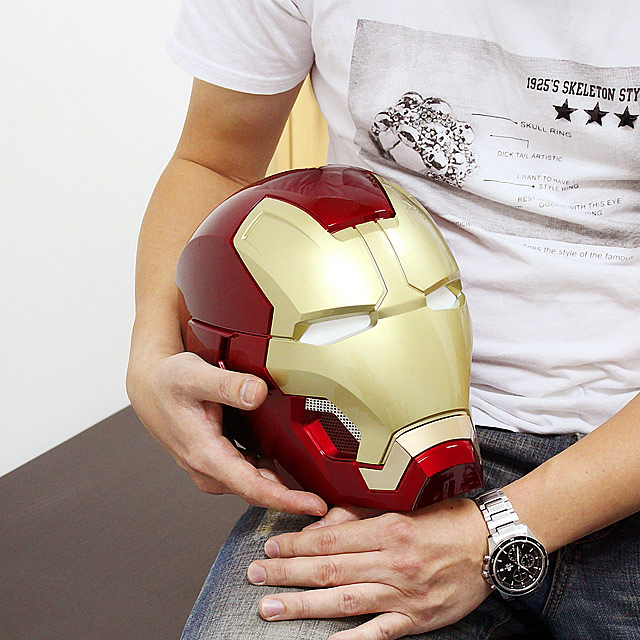 And much like the floating Iron Man suit we wrote about in January, it’s pretty expensive at $449. But hey, it does look legitimately kind of cool so if money’s no object, know it’ll ship around the end of May. That’s not much of a deal, is it? Look, we don’t decide the size of the rebate, but we do get to tell you about it, so here we are about the OM/ONE Levitating Bluetooth Speaker. Despite the paltry deal, you’re still looking at an unusual product that’s cool enough to want to purchase at almost-full price. I mean, who do you know that has a speaker that floats? This ball shaped speaker is able to project sound at up to 105 decibels with a 3 watt RMS amplifier, for up to 18 hours on a charge. It’ll stream music from your Bluetooth-enabled device, and can double as a speaker-phone given that it has an integrated mic. It’s normally $199, but our deal shaves a cool $4 off that price. By David Ponce on 11/18/14 • Leave a comment! 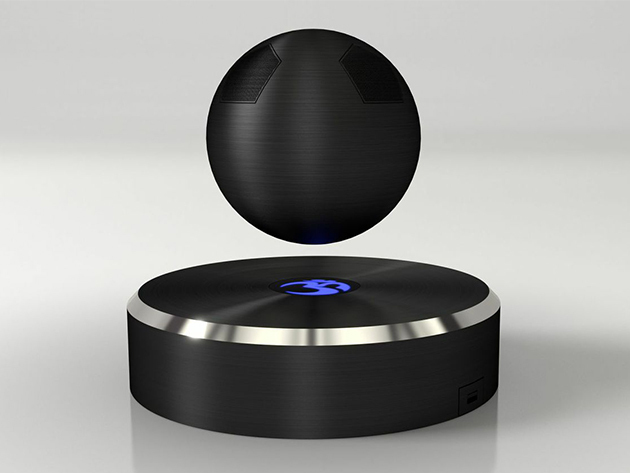 This isn’t the first levitating speaker we’ve come across, but it sure it the nicest looking one. 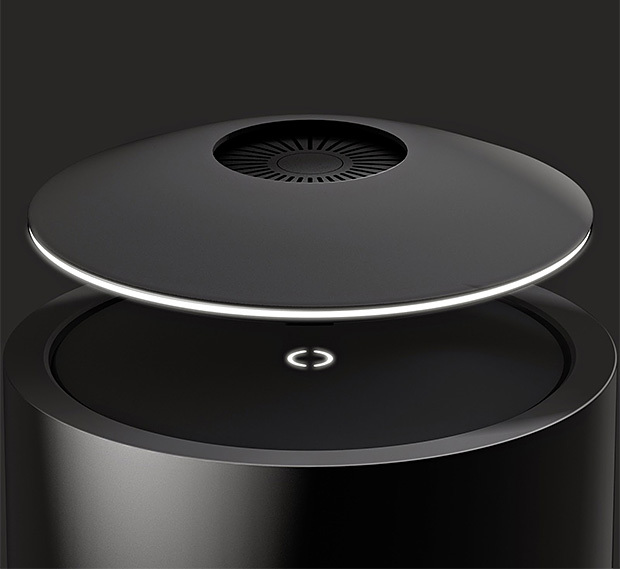 And aside from its looks, it also apparently sports a full subwoofer which, thanks to its levitating design, will radiate 360 degrees unlike regular speakers. Seeing as it isn’t connected with a cable, the battery will run you about 8 hours of playback time, after which he speaker will simply come back down to charge. There’s no word on price or availability, but a crowdfunding campaign will launch soon and you can sign up to be notified when that happens. By David Ponce on 11/17/14 • Leave a comment! 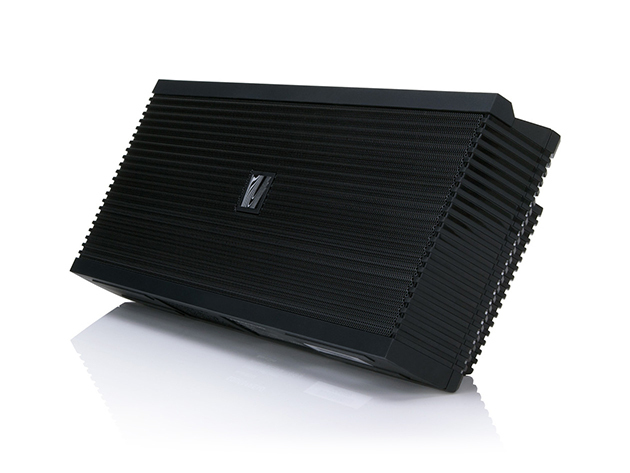 It features a pair of custom-engineered drivers and a passive radiator which is set between two full-metal, open air grills to optimize airflow and project full-frequency sound with lower frequencies kicked out the back. With 10+ hours of battery life, a tiny 5.9” x 2.5” x 1.2” footprint and a $75 price tag, it’s hard not to like it. Toss it in a bag, a pocket, and carry the party anywhere you go. As fun as taking a shower is, it can be more fun with a bit of music. 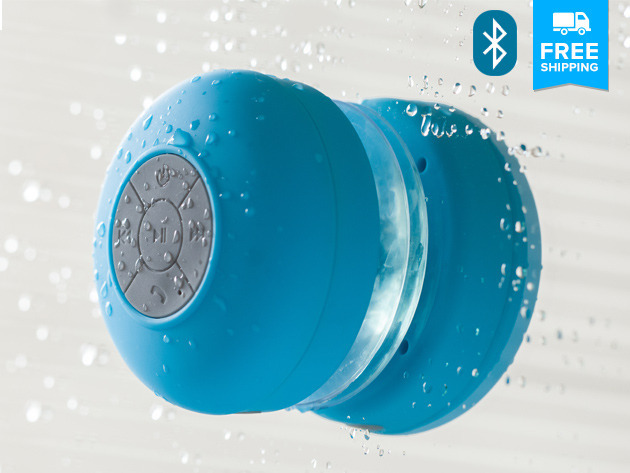 The Bluetooth Shower Speaker you’re looking at is a simple device that attaches through a suction cup, and connects to your smartphone via Bluetooth. It’s obviously waterproof, and buttons on its surface not only let you play, pause, rewind and fast forward your music, but also take and make phone calls as you lather yourself up. Normally costing $99, you can have it for all of $39 today. By David Ponce on 01/13/14 • Leave a comment! You gotta class up your digs, y’know? 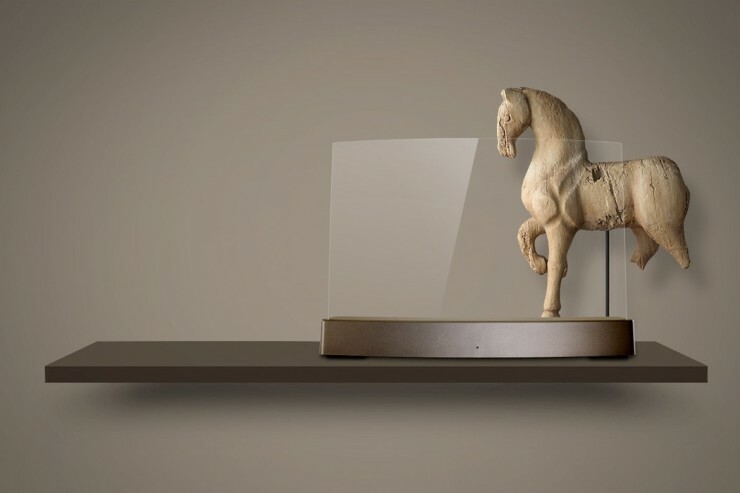 And we think that ClearView’s Clio will make just about any living area look just a bit nicer thanks to its attractive transparent design. 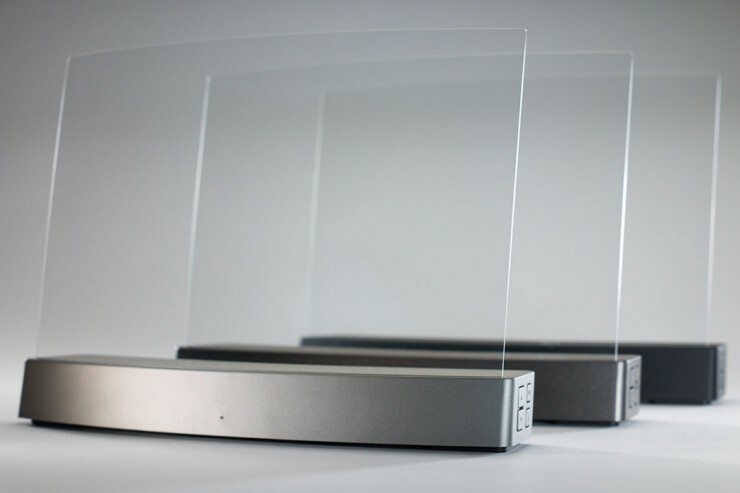 That’s right, you’re looking at an “invisible speaker” featuring an “ultra-thin, transparent, and gracefully curved acrylic glass membrane.” An added benefit of this construction is that it produces sound in both directions, thanks to its “Edge Motion®-driven speakers [which] use piezo-electric actuators to stimulate both sides of an optically clear acrylic glass stereo transducer to produce an extremely efficient, piston-like motion.” The device will accept streamed music from a Bluetooth enabled device, and features a 2-inch woofer for some bass reproduction. It’s $349 and comes in three hues.